Lacking an opportunity to quickly go to the Markthal Rotterdam and make some picks for the blog, I share this nice video of the Dutchified blog. 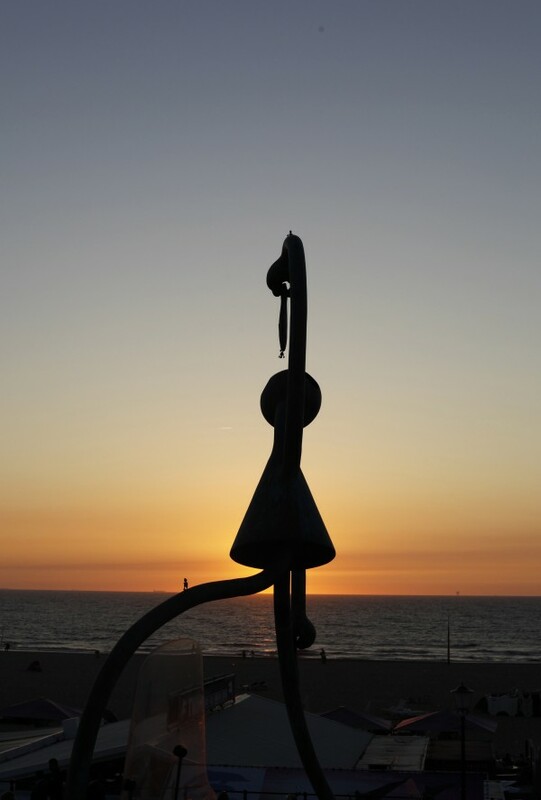 This herring eater statue is located at the Scheveningen beach. It portraits perfectly how the Dutch like to eat their herring: Raw and after the grates have been taken out the tail is left on and then they grab the herring by the tail and let it glide into their mouths. Just to remember summer seems over. 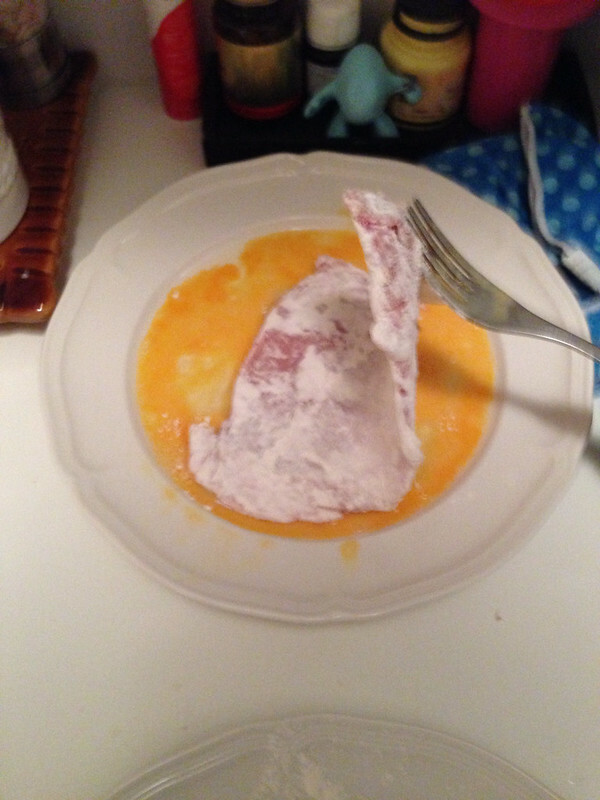 For these schnitzel I took a piece of pork. Many people find veal better for the real schnitzel. Me too, but for this one I liked to experiment with pork. First you dip both sides in flour. Then you dip both sides in egg. Some German gourmet friend of mine suggested to mix some cream through the egg. Will do that next time. 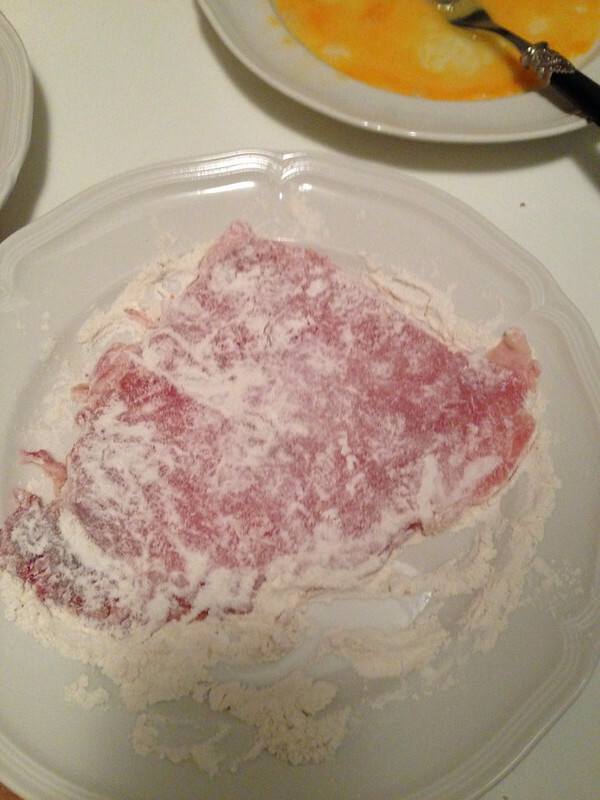 Then dip the meat in the breadcrumbs. With family ties in Austria we tend to take the position the breadcrumbs have to come from Austria…. 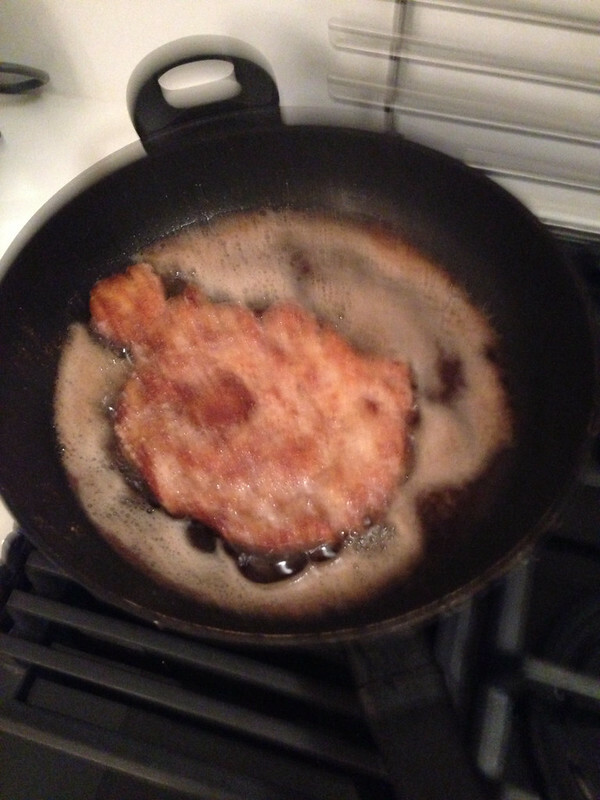 Finally the schnitzel sizzles in the pan. Use some kitchen paper to take away a bit of the butter before you serve them. Unfortunately the photo is a bit unsharp. I’ll replace it when i repeat the experiment next time. We’ve closed our small hotel Haagsche Suites. We’ve moved and we took some time off. In addition I took some time off from blogging. What will I share with you from now on? Actually it is quite simple: More of the same you are used to. I’m more into food and more into selfies. But I’ve teamed up with another site. So you will be seeing me review hotels. 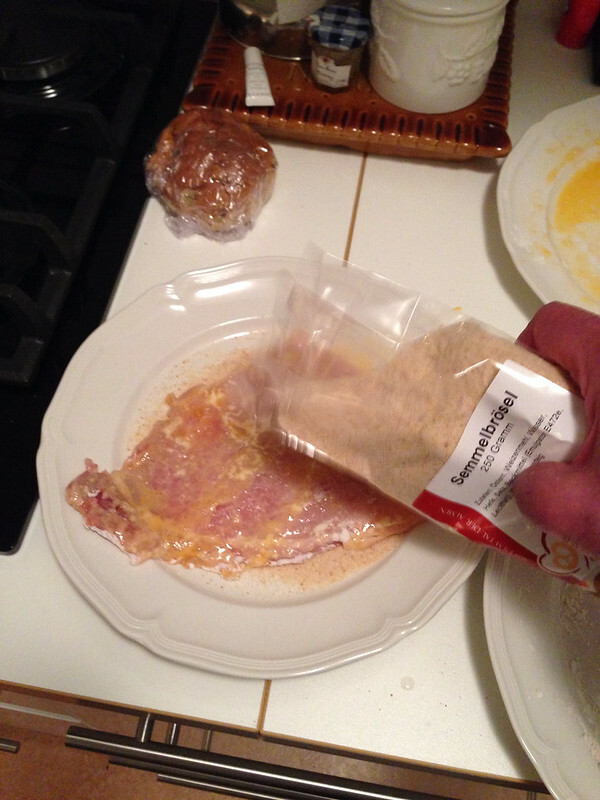 And here one of my recipes: My way of making a Wiener Schnitzel. The experiment with using pork instead of veal went well. It was a very tasty schnitzel. Lola Lo-Lo-Lo-Lo Lola – Not what you Think! Rather than resting on its side standard or a back standard, it rests on its front standard in front of a shop in The Noordeinde in The Hague. 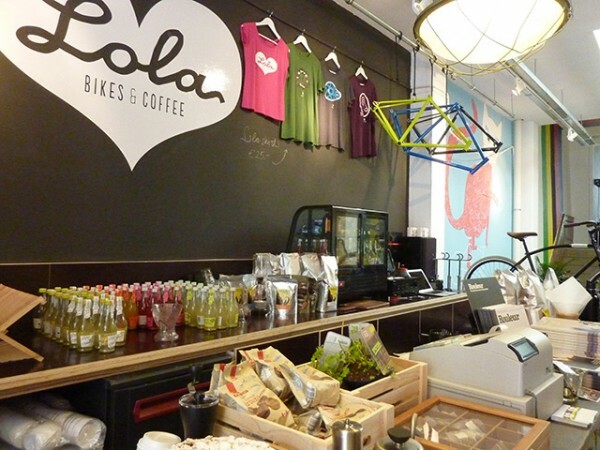 The name of the shop is Lola Bikes and Coffee soon daringly being opened officially in the posh Noordeinde in The Hague directly opposite the Lion’s Den of the huge Dutch coffee brand Douwe Egberts. 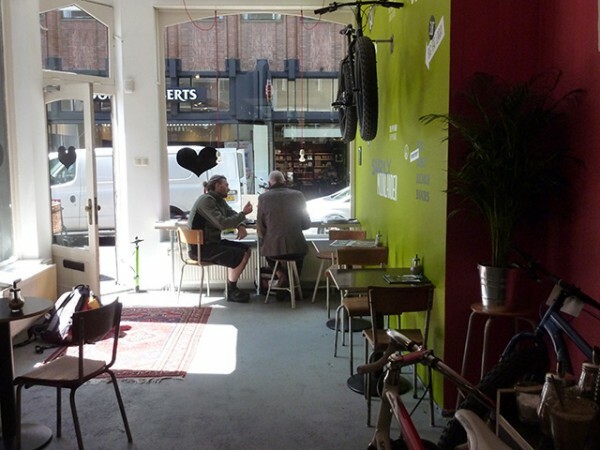 The owners of a bicycle rental shop a couple of houses away from this new shop have taken the initiative to combine renting bicycles with selling extraordinary nice new bicycles while serving coffee in a trendy bar and also combined with the repair shop in the back of the bar. Clever and daring. I wish them a lot of success! 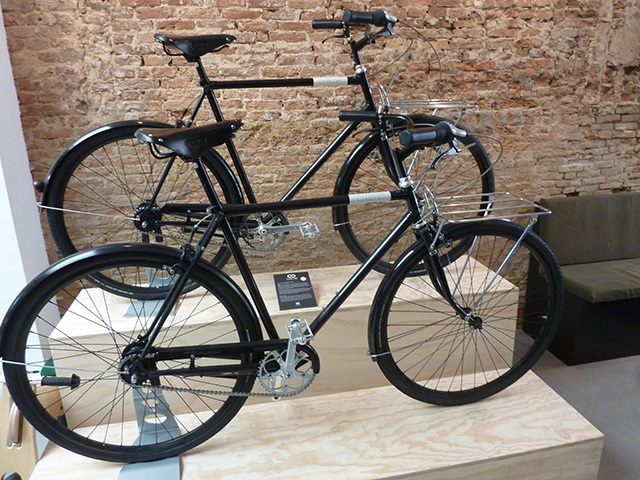 They’ve issue a trendy Bicycle magazine already. Their web presence is limited to a FB page for the moment but will come soon. I had a feeling the owner (left) was discussing the website with the designer….and through the window you can just see the coffee Goliath’s name (Soon to be divested from Sara Lee). 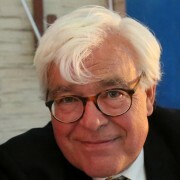 Author gjePosted on May 15, 2012 February 28, 2016 Categories Biking, Design, Food, Inspiration, Netherlands, The Hague, What are you thinking about?4 Comments on Lola Lo-Lo-Lo-Lo Lola – Not what you Think!